Yolande Avontroodt (Antwerp 19 maart 1950) graduated in 1975 as a doctor in medicine and obstetrics at the RUG and in 1978 as a specialist in occupational medicine at the KU Leuven. 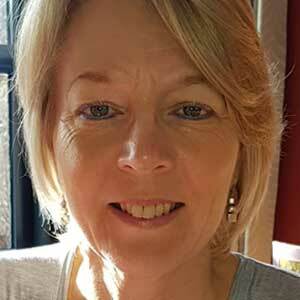 She worked until 2000 as a general practitioner and occupational physician at external prevention services and from 1990 to 1995 as medical adviser for the Liberal Mutualiteit Antwerpen. She was a member of the Chamber of Representatives from 1999 to 2010. In addition to being a member of the Public Health, Environment and Social Renewal and Social Affairs committees, she chaired the Public Health Committee (until 2003) and the Science Policy Advisory Committee of the Federal Parliament (until 2010). She was mayor of the municipality of Schilde from 2000 to 2012 and has been serving as a provincial councilor in Antwerp since 20012. She has been Chairman of the RIZIV's General Management Committee since 2003. She has held various mandates as a member of the Board of Directors of RUCA, Federal Knowledge Center KCE, UZA, Acerta Public and is still director of vzw Mensura. Since 2015 she is director of the WIV, BCUZ Brussels and member of the University Council of VUB. She is also a member of various boards of directors including MHKA, friends of MHKA, Evens foundation, Home Philippe Speth, More Foundation, Open VLD national party agency and various local associations. Nicolas Antoine-Moussiaux (1981) studied veterinary medicine at Université de Liège (ULiège), and obtained his PhD on the pathology of Trypanosoma evansi at the ULiège in 2009. He studied 'Rural Economics and Sociology' at ULiège and Université Catholique de Louvain (2010). After his postdoctoral research in Vietnam (2012) on the evaluation of epizootic control (in collaboration with the French research centre CIRAD), he was appointed as lecturer in tropical animal health at ULiège. He leads or participates in several research projects in Africa, South East Asia and South America. His projects focus on the socio-economics of animal health and livestock production, with a link to public and environmental health. In 2016, he launched an advanced master on Integrated Management of Health Risks, co-organized by the ULiège, the Université Libre de Bruxelles and the Université de Namur. Luc Bertrand (1951) graduated in 1974 as a commercial engineer at the Catholic University of Leuven (KU Leuven). He began his career at Bankers Trust, and has been with Ackermans & van Haaren since 1986. 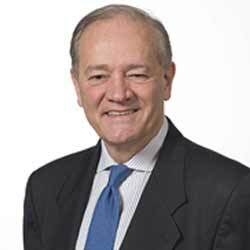 He is Chairman of the Board of Directors of AvH, of which he was member ever since 1985. He is also Chairman of, amongst others, DEME, and Dredging International, Director at CFE and SIPEF, and mandates as Director at ING Belgium. Luc Bertrand is also member of the board of several other non-profit organizations and public institutions, such as KU Leuven and Museum Mayer van den Bergh. Anne Chapelle (Sint-Truiden, 13 December 1958) began her professional career as a nurse and successfully evolved to a researcher in tropical medicine. At the young age of 22 she left for Congo for an assignment for the world renowned Institute of Tropical Medicine in Antwerp. She provided medical assistance and managed critical prevention services working closely with women, children, and families to fight tuberculosis, leprosy and aids. Upon her return she obtained a neonatology degree at the Academic Medical Center in Amsterdam. She continued her career in the pharmaceutical industry in several leadership roles that focused of the application of nuclear technologies. Anne Chapelle started to work with Ann Demeulemeester in 1994, when she undertook the reorganisation of the company. 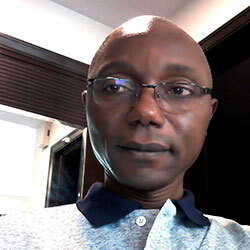 Faustin Chenge Mukalenge is a medical doctor, graduated in 1994 from the University of Kisangani (DRC). He then successively obtained a specialisation in gynaecology and obstetrics at the University of Lubumbashi (DRC)in 2001, a Master’s degree in Public Health at the Institute of Tropical Medicine in Antwerp (Belgium) in 2004 and a PhD in Public Health at the University of Lubumbashi in 2011. He is currently Senior Lecturer at the School of Public Health of the University of Lubumbashi and in the Public Health Department of the Faculty of Medicine at the University of Kisangani. He is involved in a wide range of research, training and service activities. In terms of research, he especially works on the organisation of local health systems ('health districts') in urban settings, but he is also interested in health policy and maternal health. He is author or co-author of around twenty articles in the above-mentioned domains. He worked for four years as Chief of Cabinet of the Minister of Health (2012-2016). He is currently ruling the Congolese Health Knowledge Center which aims at advising the Ministry of health authorities on evidence informed decision making. 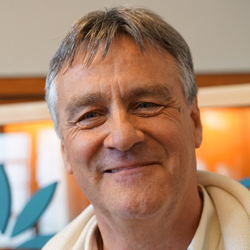 Bart Criel graduated as a Medical Doctor at the KU Leuven in 1981 and obtained a diploma in Tropical Medicine & Hygiene at ITM in the same year. In 1989, he obtained a Master of Science degree in Public Health at the London School of Hygiene and Tropical Medicine. In 1998, he obtained his PhD at the VUB (Free University of Brussels) on the subject of district-based health insurance in sub-Saharan Africa. Bart Criel initially worked in Belgium as a hospital doctor in a department of internal medicine, and later as a family doctor. He subsequently worked as a District Medical Officer in the former Zaire (now Democratic Republic of Congo) in the period 1983-1990. In 1990, he returned to Belgium and joined ITM. He is currently Professor and Head of the Unit of Health Financing, Department of Public Health. In terms of research, he focuses on the management and functioning of local health systems and on the design and development of social health protection policies in LMIC. He is currently involved in field research in Benin, the DR Congo, Guinea-Conakry, India, Mauritania, and Uganda. As co-director of the Master in Public Health at ITM, he is responsible for course management and teaching policies, in addition to teaching several modules. Patrick De Baetselier (Ukkel, 30 januari 1950) was tot het einde van 2016 Hoofd van de Eenheid Cellulaire en Moleculaire Biologie, CMIM, verbonden aan de afdeling Bio-ingenieurswetenschappen van de Universiteit van Brussel. Hij promoveerde aan de VUB in 1977 en werkte tot 1980 als postdoc-onderzoeker aan de Cel Biologie in het Weizmann Instituut in Israël. Zijn onderzoek richtte zich altijd op de cellulaire immunologie van gastheer-tumor- en gastheer-parasiet-interacties. De emeritus hoogleraar aan de VUB was tevens directeur van het interuniversitaire masterprogramma Molecular Biology, dat is georganiseerd binnen het interuniversitaire ontwikkelingsprogramma. In dit verband zijn er nauwe banden tussen de onderzoeksgroep CMIM en het ITG. Tussen 2007 en 2011 was De Baetselier decaan van de Faculteit Wetenschappen en Bio-ingenieurswetenschappen. Nadien werd hij vice-rectoraal onderzoeksbeleid en vertegenwoordigde hij de VUB in verschillende raden en werkgroepen (FWO, VRWI, VLIR). I started in the Higher Education Department and I was responsible for writing out the regulatory framework with regard to the mergers of the university colleges, the reform of the higher education programs, the transfer of programs, etc. I then became acting head of the Higher Education Department. From 2007 until January 2015 I was department head of the Study Allowances Department. In 2015 I was appointed as project leader to elaborate the guidelines and the regulatory framework for the reintegration of Ghent University Hospital in Ghent University. In the meantime, I have been charged with the preparation and legal foundation of the supplementary pensions in the basic education sector. Kathleen D’Hondt was trained as a molecular cell biologist both in academia and in industry. She got a PhD at the University of Ghent and spent several years as a postdoc in Belgium (VIB-UGent), the Netherlands (WAU) and the Biozentrum in Basel. 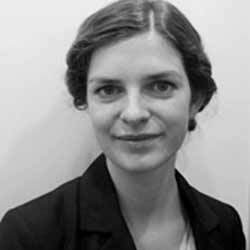 In 2006, she joined the Department of Economy, Science and Innovation of the Flemish government as a Policy Analyst and joined in 2013 the OECD as a policy analyst in the Working Party on Bio-, Nano- and Converging Tech (BNCT). Since 2016 she is back at the Department of Economy, Science and Innovation of the Flemish government. Kathleen is the Belgian delegate for the Programme Committee of Societal Challenge 1 on Health, demographic change and well-being under Horizon 2020, member of the management boards of the Joint Programming Initiative on Neurodegenerative Diseases (JPND) and of the Joint Programming Initiative on Antimicrobial Resistance (JPIAMR) and Belgian delegate in the OECD Working Party on BNCT. Besides being an optimist, medical doctor and lindy hop dancer, I am most passionate about art of hosting/participatory leadership and learning organisations. I am glad about the opportunity to add the perspective of students to the general council discussions. Currently, I follow the MPH program in International Health at ITM and work with Medecins Sans Frontieres as Health Promoter. Liesbet Meyvis (°19 October 1977) works as a consultant at the Health Department of the City of Antwerp and is project leader for the theme of accessible healthcare. Within this theme she has two passions: reducing social inequality in health and promoting integrated care across sectors and boundaries. Anne Musuva (1982) is a medical doctor and public health professional. 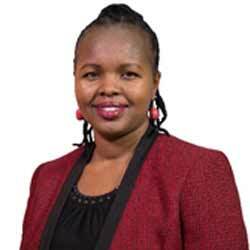 She studied Medicine and Surgery(MBChB) at the University of Nairobi in Kenya (2006) and received her MSc in Public Health, Disease Control from the Institute of Tropical Medicine in Antwerp, where she was also later a research fellow focusing on Multi Drug Resistant TB. Dr. Musuva is currently the Project Director of the USAID project at Population Services Kenya, overseeing programs in health service delivery in social health franchises, health communications and social marketing. Dr. Musuva also serves as a member of the Oversight Committee of the Global Fund Coordinating Mechanism of Kenya. She previously worked for the Ministry of Health in Kenya as a hospital medical superintendent and district medical officer of health. Anne’s current interests include service delivery and improving the quality of care in social health franchises, health system strengthening and health care financing. 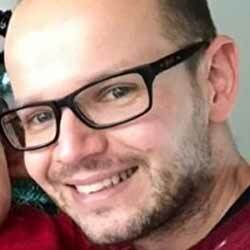 Jan Philippé works in the laboratory of clinical biology at the Ghent University Hospital and teaches medical laboratory at the university of Ghent. He studied medicine, surgery and obstetrics at the University of Antwerp and obtained a certificate in tropical medicine at the ITM. He also specialized in laboratory medicine, medical and pharmaceutical research, and biomedical sciences. He worked as a doctor in Zaire and taught at the National University of Rwanda. 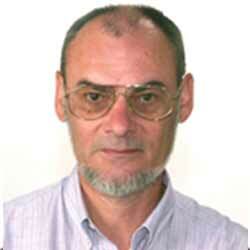 Jan Philippé published more than 100 international papers on hematology and tropical medicine. (Co-)author of over 130 internationally peer reviewed full papers (PubMed), and over 10 chapters in books with international distribution. Mrs. Van Autreve started her career in 1991 as an agronomist working for the NGO TRIAS in Honduras. In 1998 she became responsible for the TRIAS programmes in Honduras, El Salvador and Chili. In 2001, Anne Van Autreve left TRIAS for a new career within the Flemish administration in Brussels. During 8 years she coordinated the internal environmental policy of the Flemish administration. In 2009, Anne Van Autreve became head of division within the Flanders International Cooperation Agency (FICA) and shortly thereafter she was nominated as FICA’s acting administrator-general by the Government of Flanders. As from 1 April 2014 FICA is part of the Flanders Department of Foreign Affairs where she was Head of the Global Challenges Division until 31 March 2017. She is now working for the Department of Public Governance and the Chancellery. 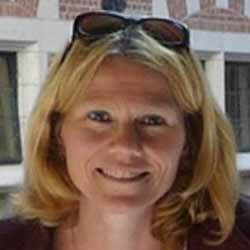 Elies van Belle (Leuven, 29 July 1974) is a medical and public health doctor. She was trained as a general practitioner in the UK and Belgium, and studied tropical medicine (2001) and public health (2011) at ITM. From 2002 to 2011 she worked in different primary health care programmes in Afghanistan, Angola, Ivory Coast and DR Congo with NGO’s and with the bilateral Belgian Development Cooperation (Enabel), always with a focus on health system strengthening interventions. She currently works in Brussels with the Belgian medical NGO Memisa since 2011, where she is responsible for formulating new interventions, for Quality Control and Evaluation, and end-responsible for communication and fundraising. She has been a member of the Board of Governors of ITM from 2014 until 2018 and is the current chair of the Belgian Network for International Health Be-cause Health. Bruno van der Pluijm entered the Belgian Foreign Service in 1991. In 2016, he took up a new mandate as Director General in charge of Development Cooperation and Humanitarian Aid. Prior to this, Bruno van der Pluijm was Ambassador of Belgium to Canada (2010-2014) and to Tunisia (2014-2016). Between 1994 and 2005, Bruno van der Pluijm served as a diplomatic collaborator in various postings: from 1994 until 1997 at the Belgium Embassy in Beirut, Lebanon; from 1998 until 2000 at the Belgium Embassy in San José, Costa Rica, and from 2000 until 2005 at the Permanent Representation of Belgium to the United Nations in New York. In 2002 he was elected Vice-President of the Second Committee of the 57th General Assembly. In 2005, upon his return to headquarters, he entered the Cabinet of the Minister of Foreign Affairs as advisor for multilateral affairs. Between 2007 and 2010, he was Chief of Staff of the Minister of Development Cooperation. Bruno van der Pluijm was born in 1960. He holds a degree in classical philology from Antwerp University (UFSIA) and Leuven University (KUL). He sits on the Board of BTC, the Belgian implementing agency for Development Cooperation; the Board of BIO, the Belgian Development Finance Institition, and the Board of ITG, the Belgian Institute for Tropical Medicine. Bruno van der Pluijm is married and father of four children. Johan Van Eldere (1958) studied medicine at the University of Leuven (KU Leuven) and was research fellow at the Rega Institute for Medical Research (Leuven) until 1988 and at the Institute of Molecular Medicine (Oxford, UK) until 1993. He specialized in clinical microbiology and laboratory medicine at KU Leuven and became Head of the laboratory of clinical bacteriology and mycology at that same university from 1993 onwards. In 2014 he became medical director of the University Hospital Leuven. 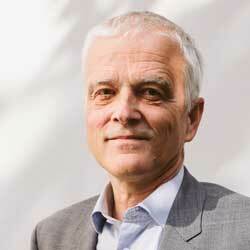 Herman Van Goethem (1958) is rector of the University of Antwerp since 2016. He completed a PhD in law and obtained a master in history. Full professor at the University of Antwerp. Currently he teaches ‘Political and institutional history of Belgium’. In 2012-2015 he has been Curator and Managing Director of Kazerne Dossin. As an author he has been awarded for several of his scientific publications. These often also reach a wider audience. Veerle Vanlerberghe (1968) studied Medicine at the University of Ghent and worked as a medical doctor and coordinator for Médecins Sans Frontières in various of their target countries, before joining as a research assistant the Institute of Tropical Medicine, Antwerp in 2003. She obtained her PhD in 2011 at the University of Ghent. She works in the epidemiology and disease control unit in the Department of Public Health, focusing her research on the epidemiology of arbovirosis. 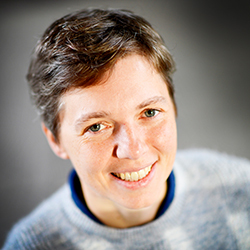 Veerle teaches in several course components of the Master of Public Health and the postgraduate course at ITM and is a scientific collaborator in the ITM development cooperation programs in Democratic Republic of Congo and Cuba. 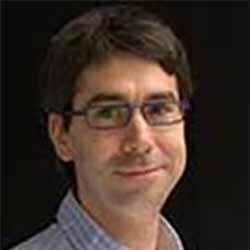 Jef Verellen (1979) studied biology at KU Leuven and later worked at Novartis as administrator for clinical studies. Since 2008 he has been employed at ITM in Quality where he is involved in various quality aspects for clinical and other research. Since 2016 he has been appointed as information security consultant and he is responsible for the implementation of the correct privacy rules. Cathy Berx (Berchem, January 8, 1969) is Governor of the province of Antwerp. She received her law degree in 1993 from the University of Antwerp, where she also obtained a doctorate in public law. In this particular area, she published several books. 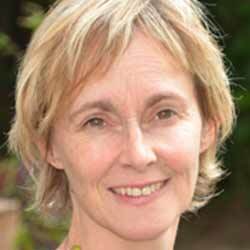 Cathy Berx teaches as a professor at the University of Antwerp since 2000. 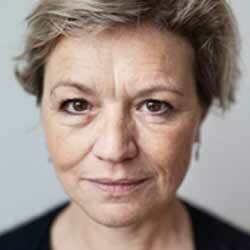 She represented CD&V in the Flemish Parliament and was advisor to former Prime Minister Yves Leterme. Herwig Leirs (°1963) holds a PhD in sciences (biology) from the University of Antwerp. After a period as head of department at the Danish Pest Infestation Laboratory near Copenhagen, he returned to the University of Antwerp as a professor in 2001. He is actively involved in university development cooperation, including as a member of the Development Cooperation Agency of the Flemish Interuniversity Council (VLIR-UOS). From 2009-2015 he was dean of the Faculty of Science, since November 2016 he is chairman of the Board of Directors of the University of Antwerp. Roel Coutinho MD, PhD, did his medical studies at the University of Amsterdam. He worked as a physician in Guinee-Bissau/Senegal and after his return to the Netherlands, he specialised as a medical microbiologist (virologist). In 1977 he became head of the Public Health Department of the Amsterdam Health Service. In this job he was confronted with the strong rise in STIs and later on HIV/AIDS. From May 2011 till May 2018 he was part-time Professor in the Epidemiology and Prevention of Infectious Diseases especially in the human-veterinary domain at the University of Utrecht. Since 2015 he is a member of the medical team of PharmAccess. 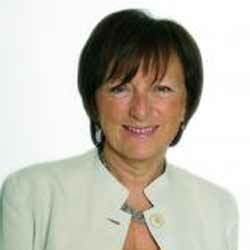 Patricia Lanssiers (1961) holds a degree of pharmacy from the Free University of Brussels (ULB). She has built her expertise through more than 30 years in the innovative pharmaceutical industry (Sandoz, Novartis, and Eli Lilly). At Eli Lilly, Patricia held several national and international leadership positions in Business, Corporate Affairs and within Ethics and Compliance. She has been the Managing Director of the Belgian, Portuguese and Dutch affiliates and served as the Vice-Chair of the association of the pharmaceutical industry ‘pharma.be’. Patricia was honoured by appointment as a University Medical Centre Fellow at VUB in 2014. Most recently she created her own consultancy company Pro4Pro. She is currently board member at ITM and United Funds for Belgium. Dirk Moens, ir. In chemistry and agricultural industries, went through the ranks at ABInbev from trainee to Zone President for Asia and Pacific and also became a member of the Executive Board of Management. He lived and worked in Europe, Africa, South America and Asia. He led the European Chamber of Commerce in China (EUCCC, a private NGO that defends the interests of European industry in China) for 4 years as Secretary-General. For the last 4 years he has been working on a private project in Portugal in the field of responsible agriculture. Dirk is married, has 2 children and lives in Hechtel-Eksel. Steven is board member, chair of the Corporate Social Investment Initiative and CEO ad interim of EVPA (European Venture Philanthropy Association). He is an investor and member of the Investment Committee of SI², a for profit social impact fund, providing growth capital to European for profit social enterprises. He is chairman of Kampani, a social impact investment fund to unlock the potential of entrepreneurial farming in the South. Steven also supports directly some (social) enterprises with the potential to generate major societal and/or environmental benefit. 1984-1990 – President Janssen Pharmaceutica U.S.
Ajit Shetty Launched Janssen US in the largest pharmaceutical market with the registration of novel new compounds (Hismanal (antihistamine), Alfenta (analgesia), ....) and effective commercialisation to create a successful product portfolio base. He was responsible for the licensing in of the first transdermal pain medication Durogesic that went on to become the fourth largest J&J product in 2008 (sales $2 billion). Between 1976 and 1984 he held various positions in Business Development and Finance culminating in the position of Vice President Finance Janssen Pharmaceutica Belgium. He worked in Business Development to launch and expand the Janssen group of companies within J&J labelled as ‘A Multinational within a Multinational’. This provided a platform to fuel the explosive growth of the company under Dr Paul Janssen, one of the most prolific pharmaceutical researchers in this timeframe. As Vice President Finance created the legal entity that today serves the platform for the J&J International Treasury Activity, managing approximately $25 billion offshore. Patricia Supply (°1968) holds a Master's Degree in Commercial and Financial Sciences (specialisation in business management). Since the start of her career, she is active in the federal government, where she has accumulated extensive experience in tax audit of companies. After going through the Public Management Programme at the Institute for Public Administration (KU Leuven) in 2002, she focused on managing various organisational and financial projects within the staff departments of the FPS Finance. In this way she has grown to Advisor-General, Head of the Accounting Department, of this public service. 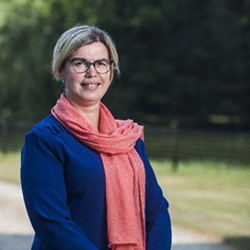 Since 2014 she has been appointed as the Supporting Director of the Royal Belgian Institute of Natural Sciences, a scientific institution within the federal Science Policy. Stefaan Van der Borght trained as a medical doctor at the Vrije Universiteit Brussel. He has a Master in Public Health in Developing Countries from the London School of Hygiene and Tropical Medicine. In 2011 he obtained a PhD in medicine at the Universiteit of Amsterdam. Dr. Van der Borght has worked overseas with Médecins Sans Frontières for over 10 years. He worked for 16 years with Heineken and was the Director of Health and Safety before joining the European Commission as a scientific officer in the Research and Innovation Directorate General. End 2015 he joined the mining company Anglo-American as Global Head of Health. Professor Chris Van Geet (°1961) was head of the Department of Pediatrics at UZ Leuven from 2005 until 2017 and has been vice-minister of Biomedical Sciences at KU Leuven since 2017, with university development cooperation as an additional authority. She is a candidate in psychology (1984) and a doctor in medicine, surgery and obstetrics (1986). In 1992, she obtained her doctorate for dissertation as an aggregate for higher education. 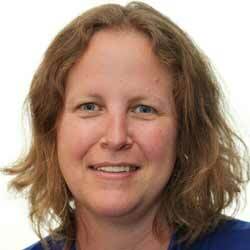 Professor Van Geet is a full-time full professor since 2005. As chair of the IRO (Interfaculty Council for Development Cooperation) and fieldworker and director of LUMOS (Leuven University Medical Development Cooperation and Solidarity) she is strongly involved in university development cooperation. She is also promoter of various VLIR-UOS projects. Bruno Gryseels (1954) studied medicine at the State University of Ghent (1972- 1979), and Tropical Medicine and Hygiene at the ITM in Antwerp (1979). He obtained his PhD at the University of Leiden (the Netherlands) in 1990. After his studies he joined the ITM as a researcher in the Department of Tropical Pathology. In 1980-1981 he worked for ITM at the Laboratory of Parasitology at the University of Zaire in Kinshasa, where he taught parasitology and took part in diagnostic duties including population screening for sleeping sickness. Read more. 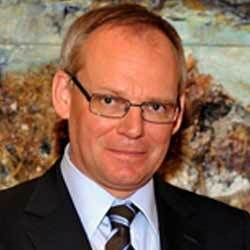 Johan Dhondt (Deinze, 6 April 1954) is Government Commisioner since December 2006. He holds the same office at the University Association Brussels, the Faculty for Protestant Theology Brussels and the Instuitute of Tropical Medicine. Since January 2011 he is also the president of the College of Government Commisioners. Previously he was lector at the Higher State Institute for Economic, Paramedic and Social Higher Education (October 1976 - August 1979), led the Unit of Nursing and Care of the OCMW Deinze (September 1979 - August 1985) and was First Auditor-Revisor of the Court of Auditors (September 1985 - November 2006). Johan Dhondt holds a Master Degree in Government Sciences (1983) and obtained a Postgraduat Degree Management Informatics (1984). He previously obtained a degree in general nursing (1979). Lore Verstraete (1973) studied Political and Social Sciences at the Catholic University of Louvain and obtained a master after master in Personnel Sciences at the University of Antwerp in 1997. After her studies she started as Policy Personnel for Personnel and Finance at the Flemish Interuniversity Council (VLIR). In 2002 she switched to the HR department of the University Institution Antwerp, later the University of Antwerp. She has been working at ITM since 2007 as HR manager and has been acting as general manager ad interim since 2018.